… Hello world? Is this working? One, two, three, one, two, one, two. Alright. Ahem. It is my honor today to announce a project long in the making: the Fabric modding toolchain for Minecraft 1.14 and above. Many smaller tools, including but not limited to tiny-remapper (efficient parallel class remapper) and Stitch/Weave (mapping processing tools). Although we have decided to reveal it to the public now, it has been in the making for a long time. So, what does it offer? Currently, Fabric is targetting Minecraft 18w49a. 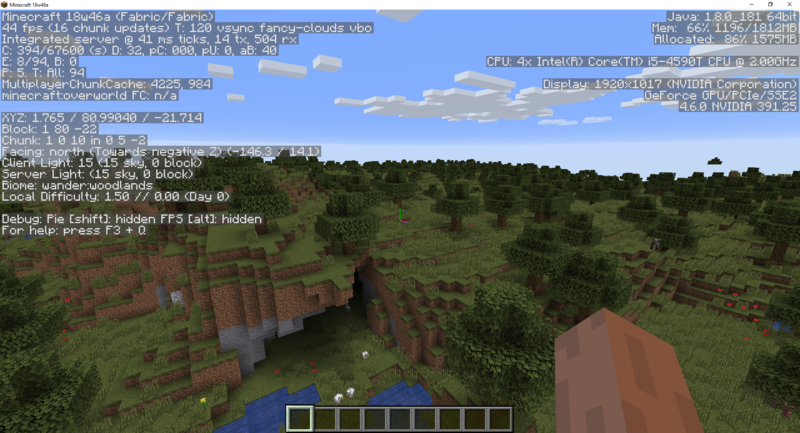 We’re tracking snapshots as they release (our record update time, from 18w48b to 18w49a, was 25 minutes from Mojang uploading it), allowing modders to develop alongside Minecraft updates and - hopefully - release their polished mods on the same day the stable vanilla version of 1.14 comes out! The ecosystem is lean, lightweight and modular - as such, it’s very quick to update. In addition, it allows updates to be worked on collaboratively by many modders. On top of that, we’re striving to make sure the means in which all the small parts connect together to provide modders and users with the tools they need are documented and approachable. All of the ecosystem is under FOSS licenses. There is no part of it exempt, there are no additional distribution rules (within the scope of what we own, of course) other than the terms of well-known and well-understood free software licenses. The modularity additionally allows you to re-use parts as you see fit. Want to use Fabric with different mappings? 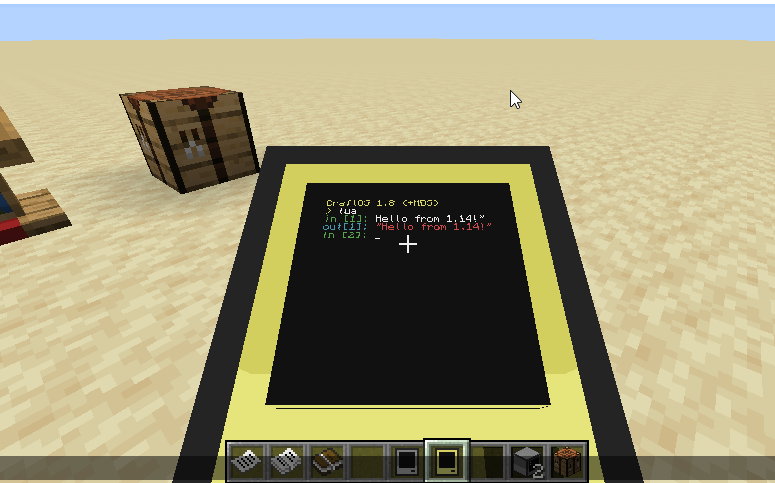 Want to use our mappings with a different mod loader? Want to use our loader to build a total conversion mod? While we will focus on building a mod ecosystem that plays nicely with each other for modpacks, we are more than happy to let you pick and choose whichever parts you need for your dream project. Mixins are a first-class citizen - this means both that patches are done in a clean organized manner and that you get access to exactly the same mechanisms to extend and modify the game that we use. Additionally, we are very receptive to communication on our community spaces. If you have a question, would like to make a mod, a modpack or are having trouble - do not hesitate! Contact us, and we’ll help as soon as we can! All-encompassing! While we will do everything we can to allow mods to be built on Fabric with ease and performance, there may be certain niche areas which Fabric as a project won’t cover. 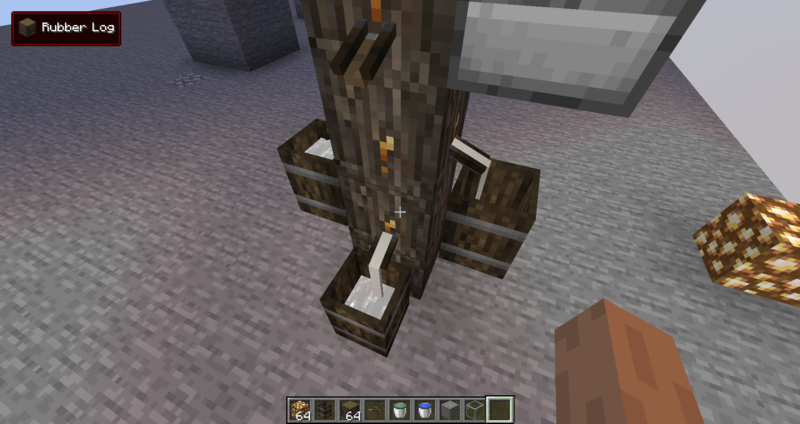 This is what the mixins are for, though - no point in adding an expensive hook to the API for just one mod. In addition, things like non-critical bugfixes, performance patches or behaviour changes are a better fit in separate mods. Keep in mind that we’re aiming for a stable release alongside the release of Minecraft 1.14. As such, while we feel it’s sufficiently stable for adventurous modders and early adopters (this might give you an idea of the atmosphere in the development chatroom right now), it might be somewhat unwise to go out there and build a modpack already. (We won’t stop you if you try, though, and we’ll even help out!) Even as a modder, keep in mind documentation is being written as we speak - don’t hesitate to ask questions or point out omissions - it helps us make the project better, and we’re willing to listen. Many smaller “tweak” mods are much further ahead and will be popping up very shortly. We will be posting regular updates showcasing the progress of both the Fabric mod toolchain and the mod ecosystem building around it. See you soon! the creator of Enigma, Cuchaz, and all contributors to that project, everyone who supported us through the long hours of development, everyone who gave input and advice, as well as the giants whose shoulders we stand on, too numerous to list. Finally, I would like to thank the Mojang development team for continuing to make large strides in the friendliness and quality on in-game engine code. If you’d like to learn more, check out the links in the header above - particularly the discussion spaces and chatrooms list, but also the downloads and the wiki. If you’re a developer, you might also want to check out our GitHub repositories!